The East Midlands is one of the biggest hotspots in the UK when it comes to buy-to-let properties. 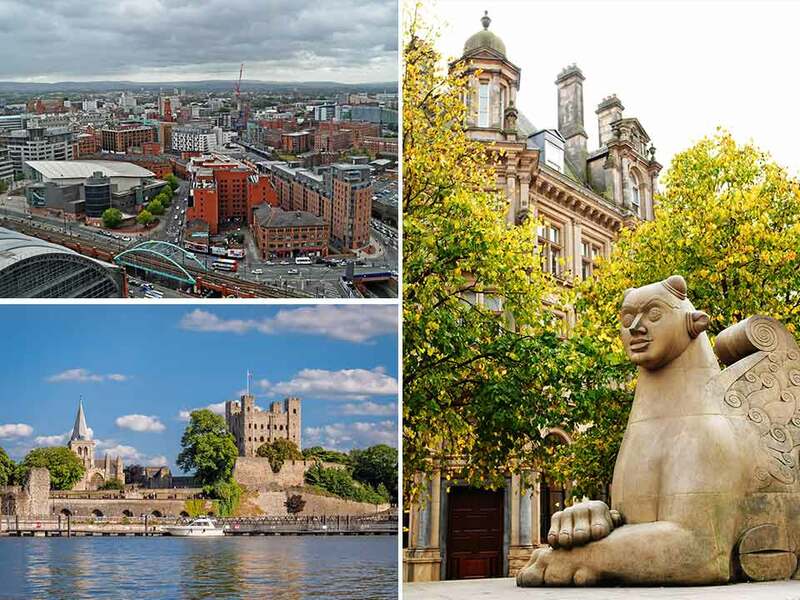 With affordable property prices and an ever-growing tenant demand, it makes Nottingham an ideal place for property investors. Nottingham is one of the largest cities in the UK and has a big student population, so there is a continuous flow of those looking for rental properties. With the HS2 development taking place in the city, it is set to be a popular location for families and students. Current leaders believe that house prices in Leicester are set to grow by over 10% throughout the course of the next 5 years, which means that an investment in property within the county is likely to lead to a great return. Loughborough is conveniently placed to capitalise most from the trend, with a good range of housing available, as well as a huge student market. Croydon has already seen a significant rise in house prices over recent years, but the average property prices still remain a way behind London as a whole. Thanks to new developments and investments continuing across the town, the borough is expected to narrow the gap beyond 2018. Whilst purchase prices are still high for some landlords, the demand from tenants is fierce and the growth will ensure a successful investment. Manchester is one of the UK’s biggest growing cities thanks to a result of a number of regeneration projects. Thanks to a thriving city centre and a huge number of companies bringing jobs into the area, there is an increase in professional tenants looking for accessible accommodation. The city is also home to a huge student population, so there is no shortage of rental demand. If you are looking to invest in the city center, make sure to seek the advice of a local property management team. Thanks to a huge lack of supply within the city and high demand, rental prices in Birmingham have been pushed up continuously over the last few years and this is expected to continue into 2019. From stylish city apartments to larger family-focused homes in outer suburbs, there is something for all kinds of landlords in the area. With over a million people calling Birmingham home, landlords can certainly invest with confidence. For more advice on property investment and to make sure that your investment is worthwhile, be sure to contact a reputable surveyor, such as Roger Hannah.